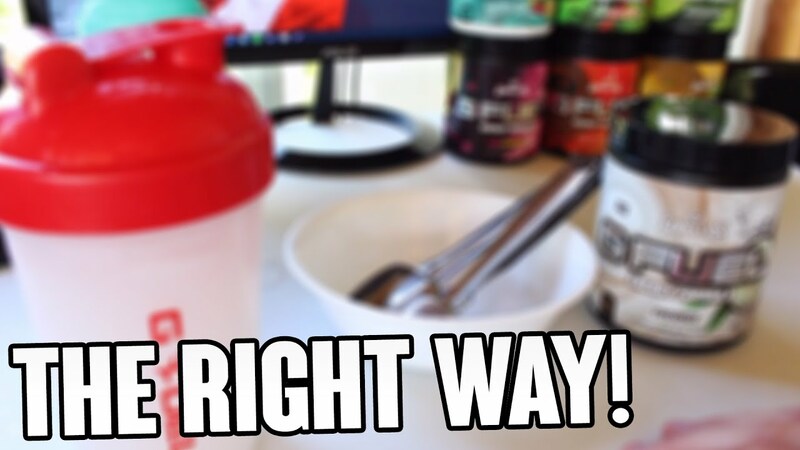 How To Correctly Make Gamma Labs G-Fuel! - How Much Water? How Much Powder? - Tutorial! Every now and then we all order a dish at a restaurant and fell uncertain about how to eat it properly not to embarrass yourself. Table manners can be confusing, and it gets especially tricky when you order some ethnic dish, like Japanese, Italian, Mexican, or whatever your tastes may be. Perhaps this video guide will help you elegantly and neatly tackle any dish put before you in a restaurant! Here are few rules that any fan of Japanese food has to know. 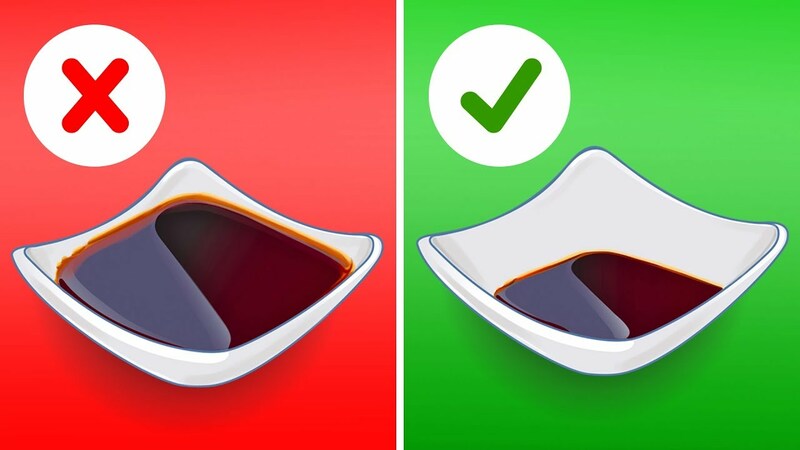 Don't fill your soy sauce bowl to the brim. Ginger helps refresh your mouth and bring out the taste of the dish you just ate, so don’t place pieces of ginger directly on sushi. Eat it during breaks in between dishes. Too much wasabi robs this delicious Japanese dish of its exquisite taste. The golden rule with Japanese cuisine is that you should always use chopsticks or your hands, never use a fork. Spaghetti seems impossible to eat neatly, but it’s totally possible. Just twirl a bit of spaghetti around your fork using your spoon or the edges of your plate until there aren’t any long “tails”. The insides of burgers always want to slip out, making a mess of your hands, clothes, and everything else around. To avoid this sticky situation, simply cut your burger in half. Since mussels are often served in their shell, it can be really confusing trying to figure out how to get to the edible part. Pick up a mussel from the plate and hold it with the open side of the shell facing outwards. If your mussels have been served with broth, put the meat into the broth. As for the empty shells, the waiter usually brings a separate dish for those. Don’t even attempt to eat a burrito while walking. Not all burritos are created equal, so some of them aren’t wrapped as tightly as we’d like. If you got a loose burrito on-the-go, you’ll have everything leaking and falling out all over the place. -Pouring in just a bit of soy sauce and add more when you feel the need, don’t fill the bowl to the brim. -Eat ginger separately from your food and only during breaks in between dishes. -Add just a bit of wasabi to your soy sauce and mix it in. Another way to spice up your life is to spread a thin layer of wasabi on your sushi or rolls. -To eat sashimi correctly, pick up a piece with your chopsticks and dip only one side of it in soy sauce. -Position your chopsticks so that one of them covers the fish side of the sushi piece, and the other - the side with rice. Once you’ve managed to do that, dip the sushi in soy sauce. -Use your chopsticks or hands to pick up a sushi roll and dip just the edge of it in soy sauce. -Twirl a bit of spaghetti around your fork until there aren’t any long “tails” that won't look pretty hanging from your mouth. -Simply cut your burger in half. Halves are a lot easier to hold. -Grab a slice of pizza by the crust. Fold the piece of pizza lengthwise like a hot dog bun. Then take a big hearty bite from the tip. Another way out is to eat pizza like a sandwich folding it widthwise. -Pick up a mussel from the plate and hold it with the open side of the shell facing outwards. Using your fork, pry the flesh out of the open shell. It’s perfectly okay to use your hands if a rinse bowl has been served with your mussels. -Pick up the burrito with both hands, this will keep it stable. start from the outer edges and work your way in towards the middle. Don’t squeeze it too tightly or else you’ll puncture the tortilla. -Feel free to cut your cob in half or even into smaller pieces. Another way to eat corn on the cob is to use these cute little skewers. They go into the ends of the cob so that your hands stay completely clean. -Take the cupcake out of its wrapper. Then use both hands to tear the cupcake in half laterally. Put the bottom half of the cupcake upside down on the top so that you get something resembling a sandwich.